We'll even throw in a handset for no cost to you! Apply right away! Just fill out the on-line form, submit it along with supporting documents, and you'll get your free handset in just a few days ready to use. Get UNLIMITED minutes per month for $1. With those minutes you'll be able to make local calls or long distance calls and access voicemail. Text messaging is available for a charge or as part of the plan with the limited minutes service. You will need to pay one dollar plus taxes and fees each month. If you want to continue your wireless plan, just pay the small monthly bill. A credit check is not required, no contract, and no obligation. Cancel your service whenever you want. But, for just $1, you won't find a cheaper mobile plan. This government assisted plan is provided under the Federal Lifeline program. It is intended to help low income families afford telephone service. It can be used by qualified individuals for wireless or wire line plans. Lifeline is available for just one line per household. Easy to Get Oklahoma unlimited Cell Phone Service! All we need is for you to submit the on-line application form and any required documentation for proof of income or assistance program participation (like a picture of your Medicaid card) and a picture of your drivers license. We'll get your phone out to you right away! No contract, Pay as you go. 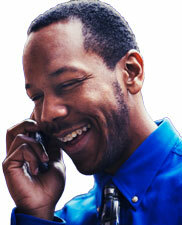 Pay just $1 per month plus taxes and fees and get unlimited minutes per month for voice or text messaging. Wireless plans in OK include Caller ID, Call Waiting, Three-Way Calling, Call Forwarding, and Voicemail.